Ingram & Greene are very knowledgable and trustworthy. Just last week they made a repair to my septic pump. They did a great job. I will continue to use them for repairs and maintenance of our septic system. Thank you Roger and Tammy! Roger, Tami, and their employees have been taking care of our septic tanks and leach fields for almost 25 years, at all times of the year. They are professional, courteous, and friendly. Roger has always been here when he says he is going to come, and once here, will keep us informed and educated about our septic needs. I feel their prices are fair and they work very hard to provide us with the best services. They are people that I will keep calling on to help me maintain my home. Amazing service!! Called last night just before 5pm and they were here today at 1:30pm. Super fast, super clean, very knowledgable, and great customer service! Good to know there's still companies like this here on the central coast. Will definitely be referring my friends to them and will be using them for my septic maintenance regularly!!! We have used Ingram & Greene for over 30 years for many services. Roger has helped us get through some difficult issues with integrity and honesty. He does what he says he will do if at all possible. 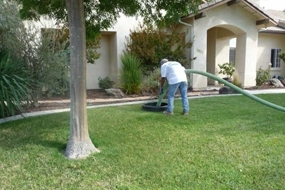 We are very happy and fortunate to have him available in Atascadero. These guys are AWESOME! 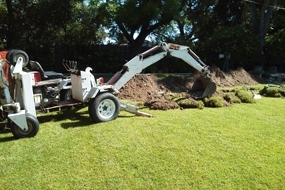 Extremely fairly priced, very professional, dogged about finding out exactly what your septic problem is, and they come up with the solution -- and don't mind at all "comparison shopping." 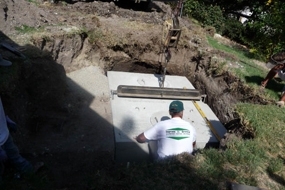 Roger and Troy are the Penn & Teller of the septic tank world! A definite 5-Star rating! I've been using Ingram & Greene for over 20 yrs and have always been very happy with the service. They have always been professional and prices are very competitive. Honest, hard working company! I used Ingraham and Greene to replace my leach field in a foreclosure I bought. 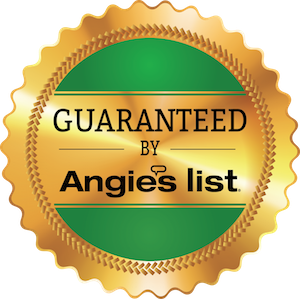 I always expect good service from a family company, but was pleasantly surprised by the personal attention we received all the way through bidding to completion. He even let me get involved in the digging! Sadly I wasn't allowed to run the backhoe. Most important was that the quoted timeline was dead on. It seemed like all the materials were scheduled right on time, so they could get to work right away. I wouldn't hesitate to recommend I&G to my neighbors. Excellent service! Very Professional! I could not have expected a more smooth operation. These guys were in and out with SWAT Team precision. Both Roger and Jared were absolutely friendly and very informative. I actually learned quite a bit today! I recommend this team on the highest of service levels. 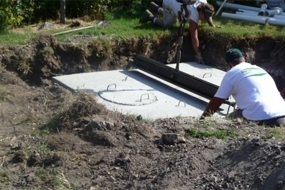 If you ever have a problem with your septic tank, call these guys first. Too bad there isn't an option for 6 stars, or maybe 20 thumbs-up.